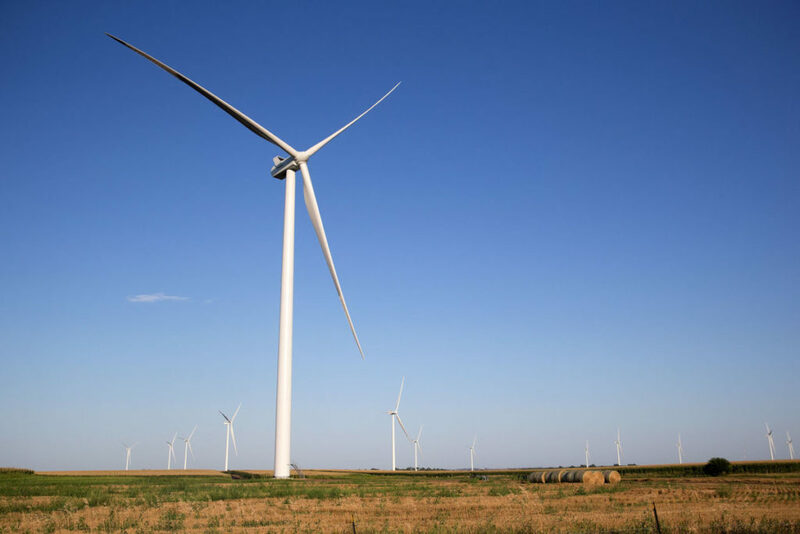 Renewable energy primarily derived from wind whistling across the Nebraska plains accounted for 30 percent of the Omaha Public Power District’s retail energy sales in 2017. That marks a significant milestone for the traditionally coal-heavy utility, especially considering that renewables accounted for just 13 percent of OPPD’s retail sales in 2016 . . . The utility has a goal of hiking that portion to 50 percent by 2020. Click here to read the complete news story. Photo: The Grande Prairie wind farm, the largest wind project in Nebraska history. This entry was posted in Nebraska / Midwest News and tagged Cole Epley, economic benefits of renewable energy development for Nebraska communities, Omaha Public Power District (OPPD), Omaha Public Power District's Green Tariff, Omaha World Herald, renewable energy development in Nebraska, YouTube Video: Grande Prairie Wind Project on January 12, 2018 by Helen Deffenbacher.